This is a really unique and gorgeous Hand Selected Jewelry/Investment Grade Natural Alaskan Gold Nugget. It comes from the gold fields of Alaska near Fairbanks. It was recovered by a family of gold prospectors some years back. 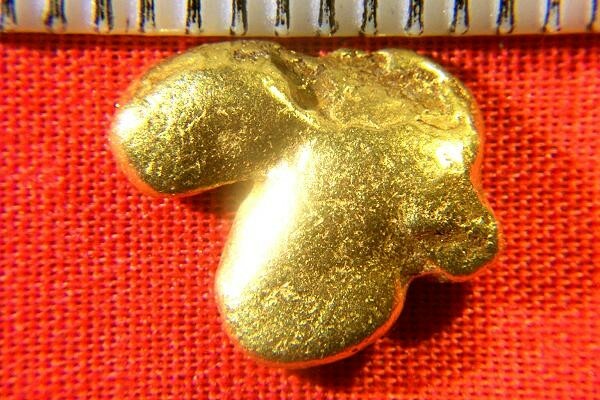 The weight of this gorgeous gold nugget is 3.6 Grams (55.5 grains). The size is 9/16" long, (14 mm). The color is brite and the surface is smooth. 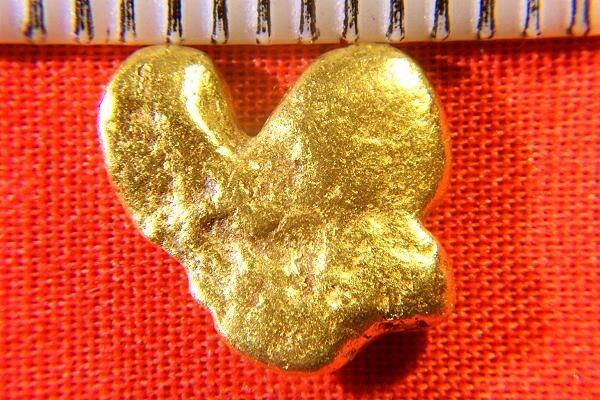 Investors, jewelers and collectors love this type of Alaska Gold Nugget. You will too. As you can see, we do not sell common grade nuggets, we only buy and sell the top jewelry/investment grade nuggets. All of our gold nuggets come with a certificate of authenticity.